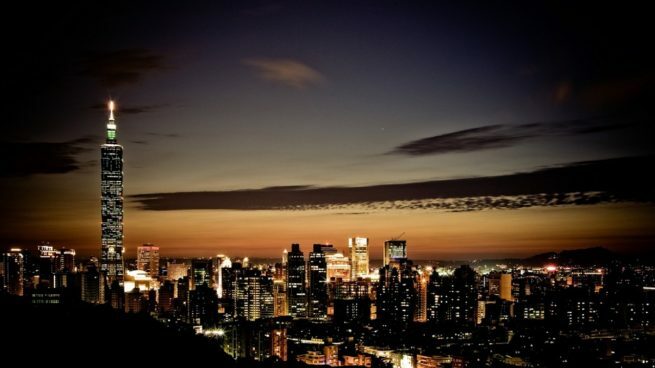 Fly private jet charter to Taipei, the capital city of Taiwan, and the island nation’s commercial and cultural center. Taipei, one of the Four Asian Tigers and a major trade nation, is a popular business destination for executive jet charter flights, and its array of festivals draw visitors from around the world. Chartering a private jet into either (TPE) Taiwan Taoyuan International Airport or (TSA) Taipei Songshan Airport is the best way to get to and from the city, and our team at Air Charter Advisors is here to offer the highest standards in executive and leisure travel. Air Charter Advisors offers on-demand private jet charter service to/from Taipei, and with access to thousands of private aircraft around the world, we’re confident we can arrange the right aircraft for your trip, whether you’re flying internationally or domestically. Our private jet charter company is Wyvern-certified, and all of the aircraft we use for flights to Taipei and the rest of Taiwan are operated by FAR Part 135 (or foreign equivalent) air carriers. Our distinguished list of clients includes royal family members, heads of state and C-level executives from major corporations; we also fly celebrities, personal assistants and leisure travelers from around the world. Enjoy the peace of mind you get from working with a jet charter broker you can trust, and let Air Charter Advisors be your local and global aviation solution for luxury air travel, aircraft acquisition and private jet management. Call or request a quote for your charter flight to Taipei, Taiwan. Our team is here to help you with all of your private aviation needs, from booking your private jet and creating its flight itinerary to arranging gourmet in-flight catering, luxury ground transportation or meeting any other requests you may have – consider us your one-stop shop for all things private aviation in Taiwan. As a result of alternating imperialism across the island nation, culture in Taipei is based off a variety of influences ranging from traditional Chinese culture, Japanese culture, Confucianism and Western values. Visitors will hear a mix of Mandarin, Taiwanese, Hakka and other Asian languages spoken in Taiwan, in addition to a handful of aboriginal languages. Although Mandarin is the official language, Taiwanese is spoken as the first or secondary language by nearly three-quarters of residents. The downtown area is culturally split into two halves; the west side is where you’ll find narrow streets and roadside vendors that characterize the city’s older way of life, while the east side features stylish malls, chic boutiques, and upscale restaurants that signify its transition into a modern international city. Speaking of restaurants, Taipei has one of the higher densities of restaurants in the world, where nearly each and every street corner and alleyway offers some kind of dining experience. Food here is influenced from a number of cultures, so even if you’re not interested in Taiwanese cuisine, finding a Chinese, Japanese, Korean, Indian or Thai restaurant won’t be an issue. Festivals are hosted throughout the year, but it’s important to note that many of the festivals follow the lunar calendar, so we recommend checking with the Taiwan Tourist Bureau’s events calendar before planning to attend an event. The Lantern Festival is perhaps the most famous festival, with celebrations in Pingxi, Renai Road and the Sun Yat-San Memorial Hall. The city’s International Travel Fair is a popular annual world trade expo, and its Film Festival features screenings and awards for both domestic and international films. Other popular festivals in the city include the Spring Scream, Buddha’s Birthday, and the Dragon Boat Festival. Charter a private flight and enjoy Taiwan’s premier metropolis, its financial, cultural and governmental centerpiece and home to a population of over 7 million people. 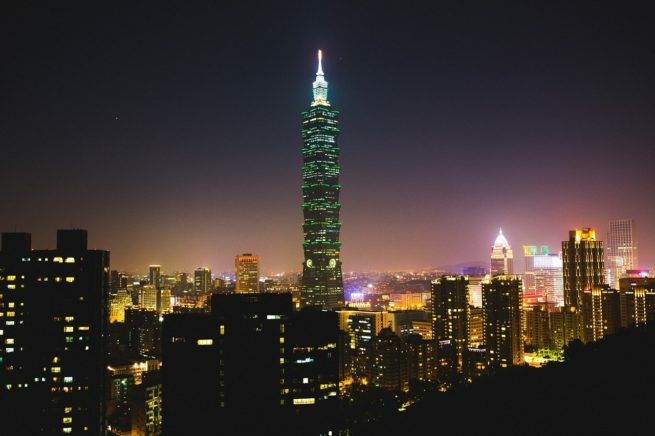 Taipei features a variety of packed shopping districts and modern architecture, with its most prominent skyline feature being the bamboo-shaped Taipei 101 skyscraper, standing tall at 509 meters with upscale shopping on the ground floors and an observation deck for the best view of the city. The city is home to a rich line-up of beautiful, ornate temples dedicated to a variety of religions, including Buddhist and Taoist deities. If you’re interested in exploring the city’s religious buildings, then head over to Xinsheng South Road, better known as the “Road to Heaven” due to its large number of temples, shrines, churches, and mosques. If you’re searching for older temples, the Longshan Temple is located in the Wanhua District, and was built in 1738 with traditional Chinese architectural influences. The city’s night markets are also very popular, the largest and most famous one being the Shilin Night Market. For upscale shopping, the Xinyi District is the most cosmopolitan district, and it’s where you’ll find the city’s Convention Hall, World Trade Center, City Hall, 101 Tower and an array of shopping malls and entertainment venues. If you’re a tech-lover, the Guanghua Digital Plaza specializes in computer and electronic goods, and has the largest number of stalls selling computer hardware/software under one roof. While the country is a major manufacturer of computer components, and many people tend to think of Taiwan as dirty, overpopulated industrial country with mountainous landfills full of hard disk drives, you’d be doing yourself and the island nation a disservice by assuming this to be true. Stick to the west coast and your inclinations may prove to be true in some areas, but journey out to the east coast and you’ll discover sparely populated country home to an array of stunning landscapes. In Taiwan, public transportation is utilized by a large portion of citizens, and Taipei has the highest rate of use at just over 33%. Taipei Station is the city’s transportation hub, serving the subway, bus, conventional rail, and high-speed rail lines. Easy Cards allow you to use all forms of public transit, and proximity sensors mean you never have to remove your card from your wallet. For all intents and purposes, Taiwan, officially known as the Republic of China, has been an independent island nation since 1950. Still, the island’s sovereignty has been at the center of debate for decades now. China regards it as a rebellious region that needs to be controlled by the mainland, and in terms of formal recognition by other governments, Taiwan is considered to be part of China. Both the Republic of China (ROC) and People’s Republic of China (PRC) claim to govern all of China, both mainland and Taiwan, but only the ROC controls Taiwan, and the PRC handles mainland China. China insists nations can not establish official relations with both, leaving Taiwan with few diplomatic ties, although the United States is its most important friend and protector. Despite this diplomatic isolation, the nation has become one of Asia’s big traders, achieving an economic miracle referred to as the “Taiwan Miracle” by becoming one of the top producers of computer technology in the world. In addition to being a member of the Four Asian Tigers, its a member of the World Trade Organization and the Asia-Pacific Economic Cooperation. Taipei is home to several national headquarters, including ASUS, Chunghwa Telecom, Mandarin Airlines, Tatung, Uni Air and D-Link. Other major companies in the region include Shihlin Electric, CipherLab and Insyde Software. The port of Keelung is home to the city’s shipbuilding industry, including yachts, pleasure craft and other boats. Tourism is a major part of the local economy; over 6.3 million people visited in 2013, making it the 15th most visited city around the world. Taiwan is a popular destination for international business and executive charter flights, and its airports are set-up to make executive air traveler as comfort and convenient as possible. (TPE) Taiwan Taoyuan International Airport recently opened its Business Travel Center in between its two terminals, allowing business travelers to arrive at the airport much closer to their departure time. The business center also feature 15 isolated rooms for privacy, and a spa, sauna, and gymnasium are also available for travelers. Please note that reservations are required three days in advance, and a one-time price of $8,000 is necessary to utilize the center. (TSA) Songshan Airport is another popular destination for private flights. Songshan Airport services a majority of regional charter flights to the area, with it’s location near downtown attracting executive charter flights from Japan and China. (HUN) Hualien Airport is limited to charter flights originating from Japan, South Korea and Macau, with plans for expansion to service executive flights from other areas of Pacific Asia. Private helicopter charters may be available to help you get to meetings or conferences on time by avoiding the heavy traffic congestion of Taiwan’s roadways. Ask your charter broker about arranging a helicopter lift while you’re in the city. Taipei offers a variety of outstanding five-star accommodations for private jet travelers to choose from. Our clientele will recognize several of the hotels in the city, including the W, the Mandarin Oriental and Shangri-La, while there are plenty of luxury options with local appeal. Our top choice is the Grand Hotel, an internationally celebrated landmark hotel set in a palatial, 14-story building in the heart of the city along the Keelung River. Regardless where you decide to stay, our Taipei Jet Charter team can arrange for luxury ground transportation after your private charter flight arrives to bring you to the resort or destination of your choice. Request a Quote or give us a call at 1-888-987-5387 to speak with one of our brokers for your next luxury vacation, business trip, or special event in Taiwan.